Russian President Vladimir Putin bade farewell to Anatoly Rakhlin, Master Judo Trainer of Russia, with him Mr. Putin trained in his youth. After the requiem, the president decided to stay out of sight of others. 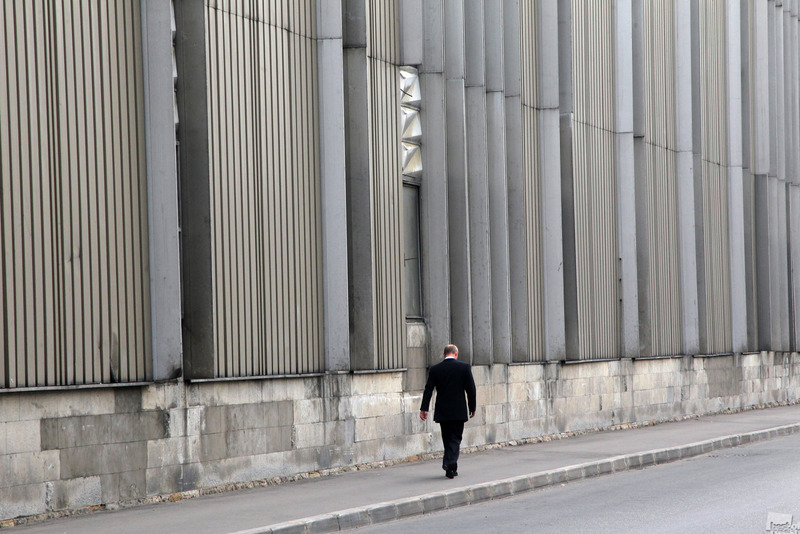 He walked along Vatutin Street, then after waiving his security detail off with a gesture, he walked alone along the car manufacturing plant. Saint Petersburg. These days the exposition of "Best of Russia" photo contest takes place in Moscow. Photographs are selected according to several categories: nature, architecture, style, and people/events/life. This year featured a special fifth theme, "Weddings and Funerals".